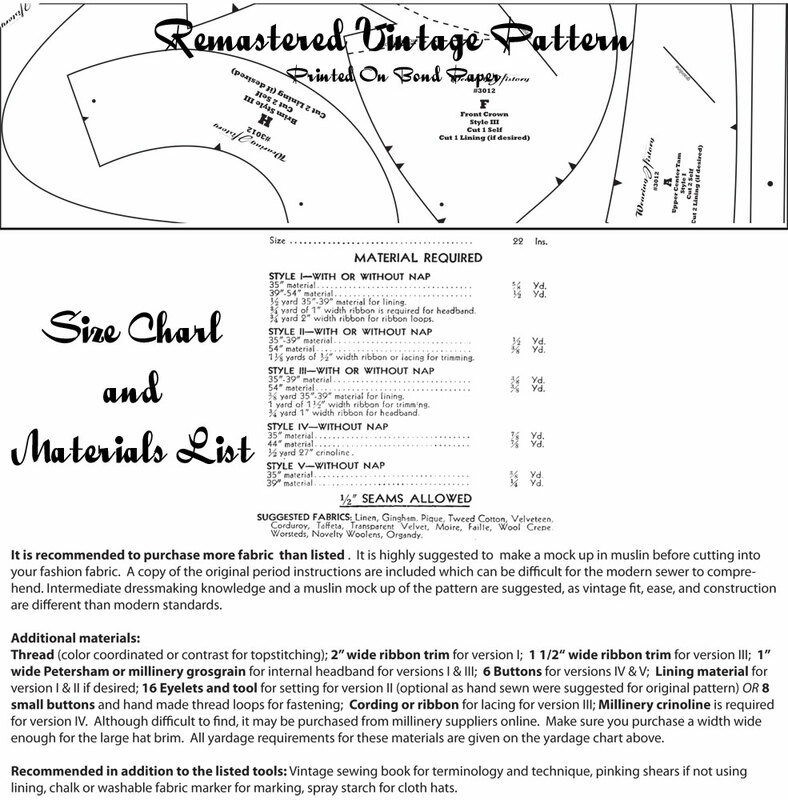 >I’m pleased to announce the newest pattern, a reproduction of a hat pattern that is suitable for looks for 1936-1938, though it would be equally fun when made to mix and match with modern looks. 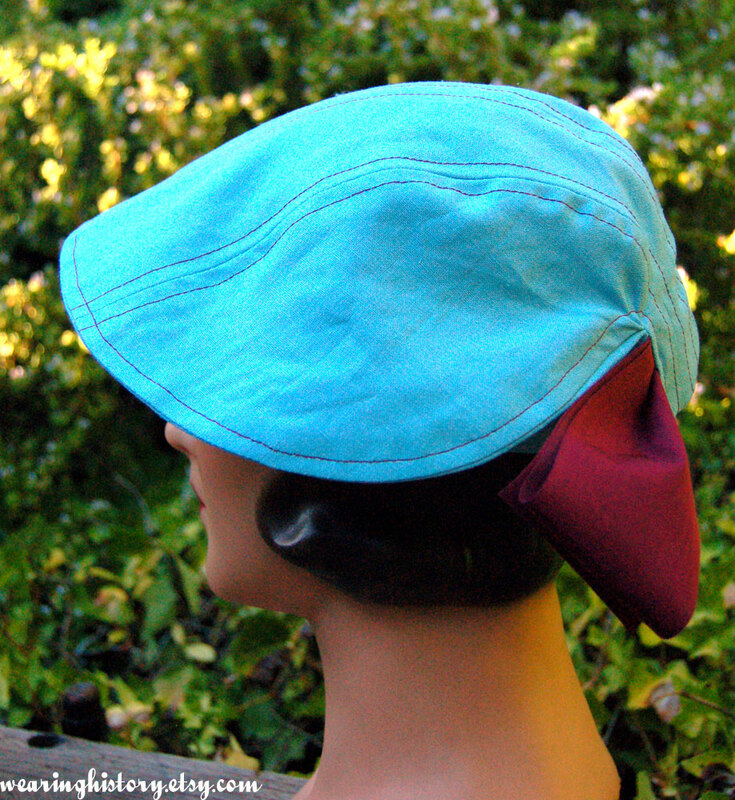 This hat pattern is absolutely adorable and so much fun to sew. I had a lot of fun making up the samples and keep dreaming all the outfits I can make with matching hats! For my samples I used mid heavy weight linens that I had scraps of in my fabric stash, and had a lot of fun playing with matching ribbons. 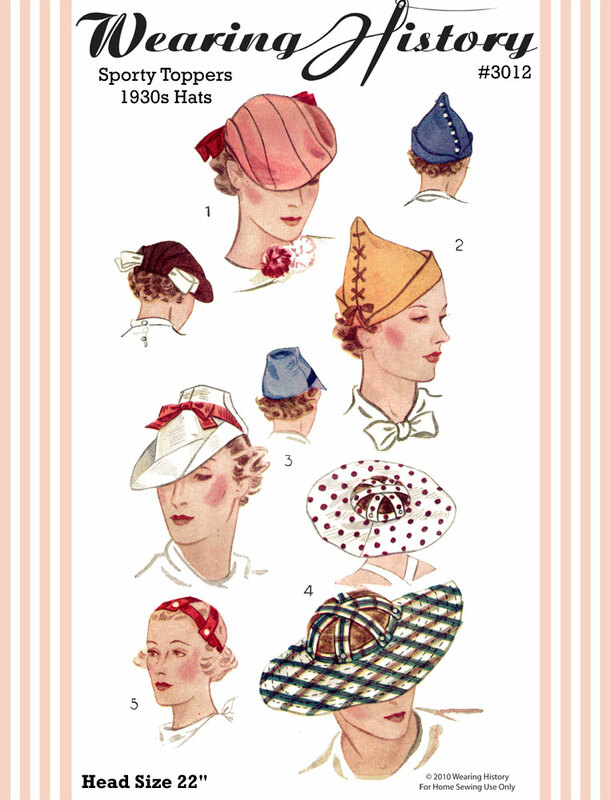 There are five hats in this pattern. 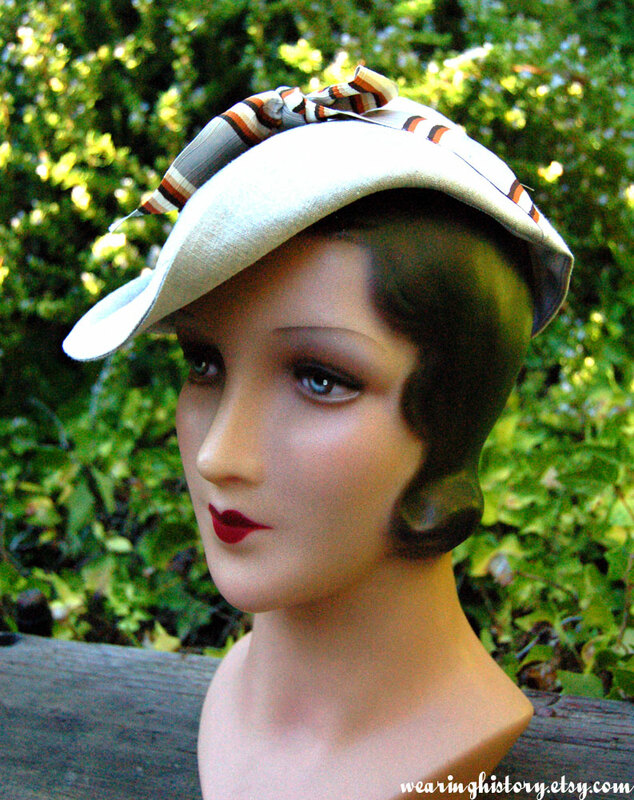 Two of the hats are really fun and quirky, very appropriate for 1930s collegiate looks- the pointy pixie hat and the strappy cap. 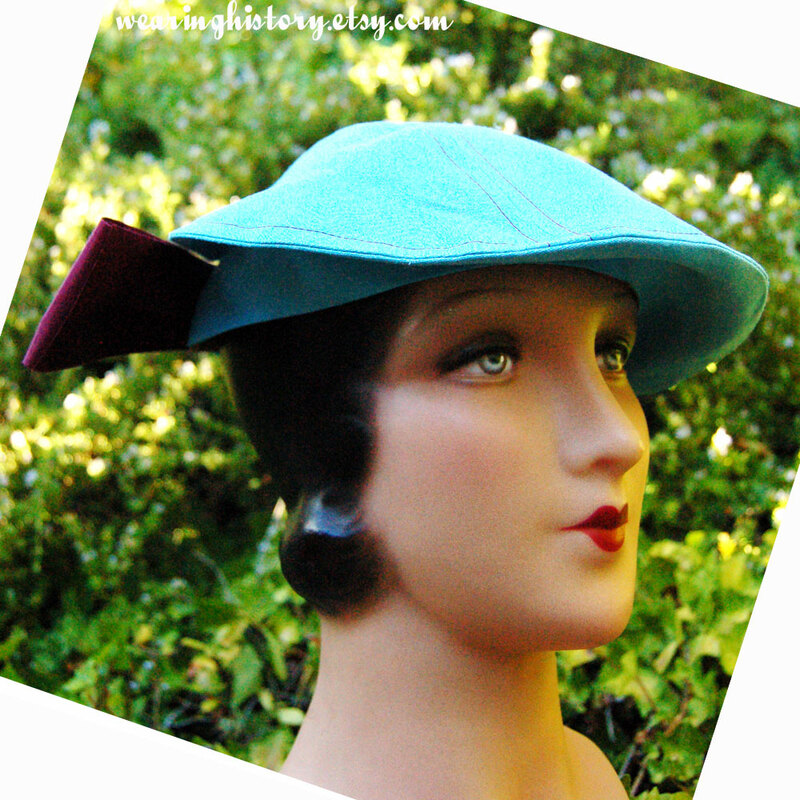 The flat beret style hat and the ladies fedora would be perfect for two piece dresses or suits or tailored dresses. 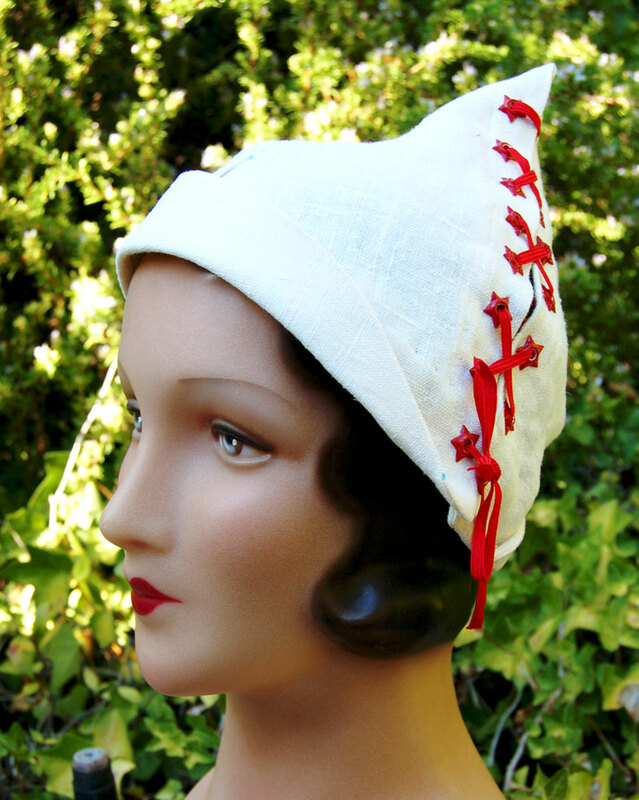 The wide brim sun hat would look dreamy with cool summer frocks or casual garden dresses, or if made up in colorful printed cottons would be playfully chic with beach pajamas or swimsuits and cover ups. This pattern is now available on my website. I hope you enjoy it as much as I’ve enjoyed sharing it! >hat last hat is divine! >Is it difficult to sew these? >wow, these are fantastic, and that last one should be MINE! >Yes, more hats for this world! >they look great! there really need to be more hats in the world. >YAY! 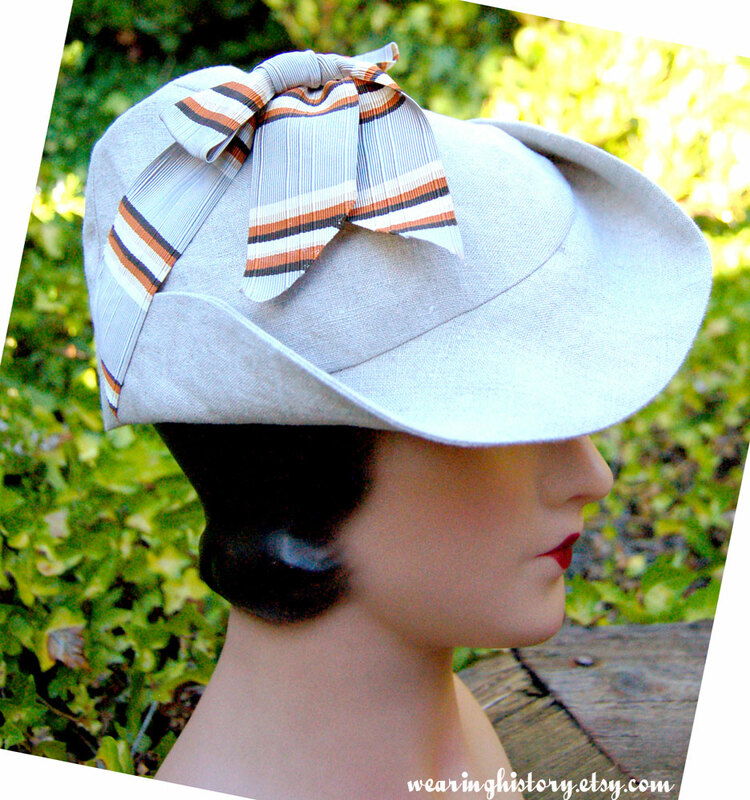 so glad you did another hat pattern!!! >How perfectly gorgeous! 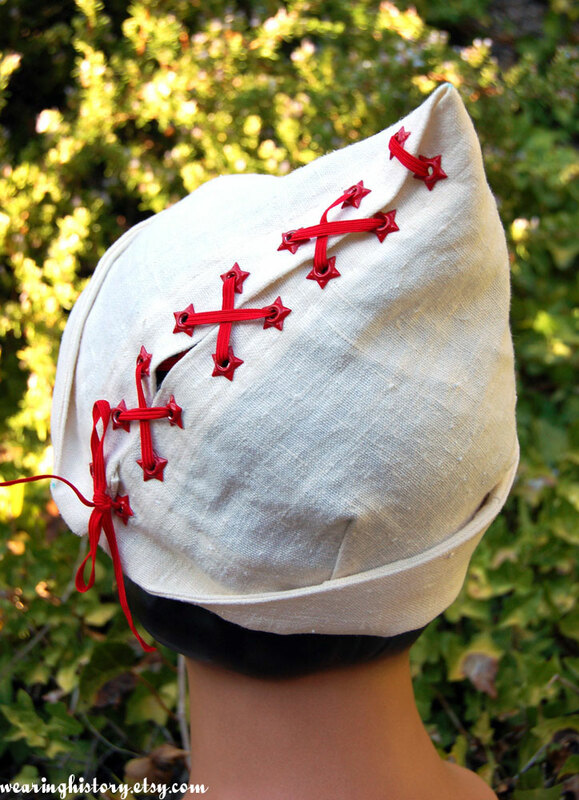 Where did you find those star eyelets on the first hat?